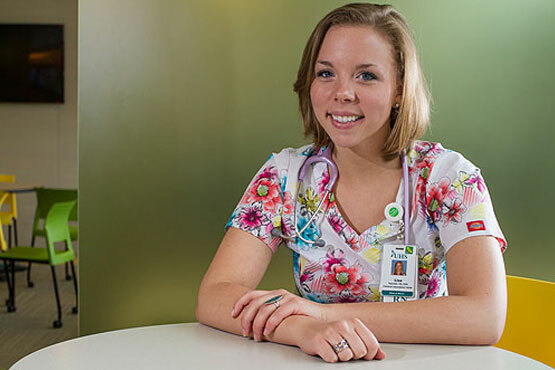 After graduating, Lisa continued her studies through Alfred State’s innovative new fully online bachelor’s degree program while working at St. James Mercy Hospital in Hornell in their inpatient behavioral health unit. There, she was able to expand her knowledge and apply it to her working life—simultaneously. “In the upper-level classes, we really worked towards culminating projects. Nothing felt menial. We did large projects that spanned each semester. In doing that, I learned to use research and assessment techniques to solve problems. And that’s something we do every day in practice to help plan optimal care for each of our patients,” she says.